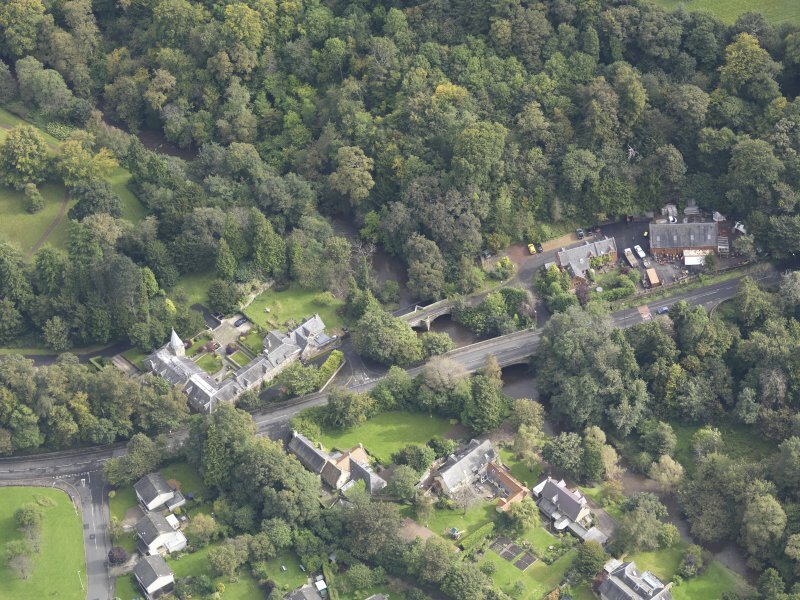 Oblique aerial view of Newbattle Old Bridge, looking to the E.
Oblique aerial view of Newbattle Old Bridge, looking to the SE. 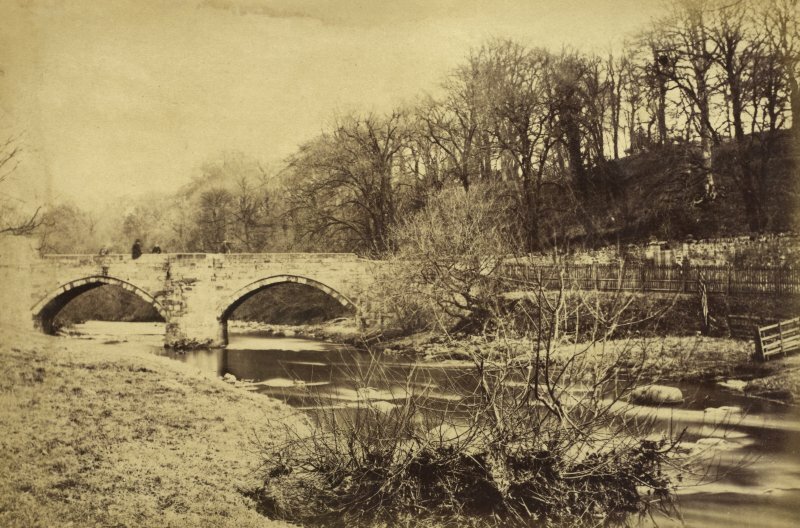 (NT 3314 6570) Newbattle Bridge is possibly a 16th c structure which has been extensively rebuilt. Its two wide, slightly pointed arches are relatively modern. An illegible, weather-worn armorial panel is above each of the arches, on the W side of the bridge. 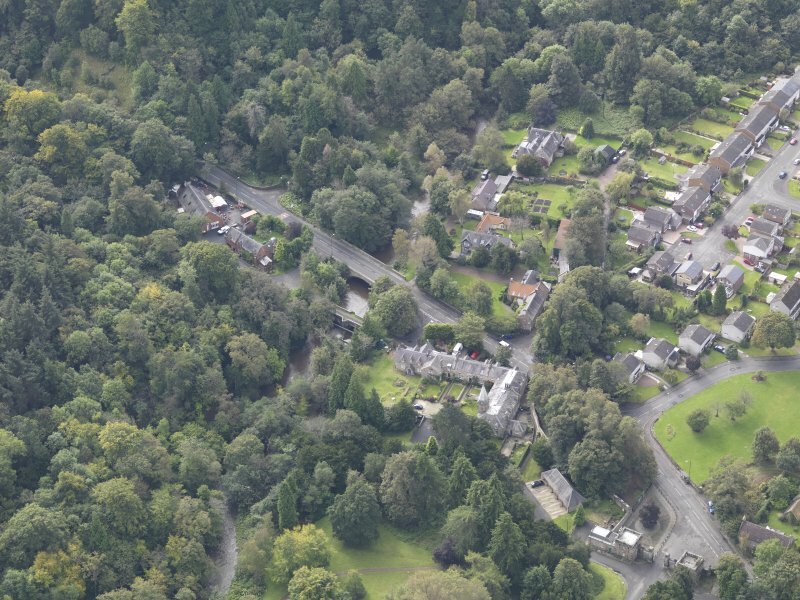 This bridge has been much restored, although the carriageway is still only 3m wide. The armorial panels have been removed. No date stone is visible.